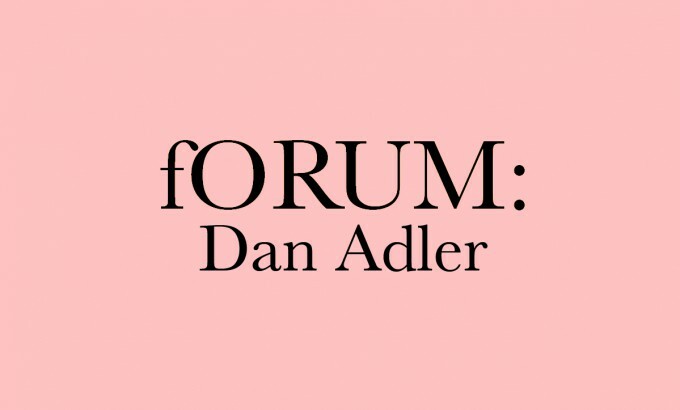 Mercer Union is delighted to announce that Dan Adler will be the second guest of our fORUM critical conversation series. This talk will address large-scale exhibitions by Rachel Harrison, Isa Genzken, and Geoffrey Farmer consisting of sprawling accumulations of objects: some found, some modified, some handcrafted. Adler will explore how these expansive shows incorporate assemblage-based works which subvert display cultures by provoking viewing experiences that are neither seamless nor easily consumed. Dan Adler is an associate professor of modern and contemporary art at York University in Toronto. He is the author of Hanne Darboven: Cultural History 1880-1983 (Afterall Books/MIT Press 2009) and co-editor (with Mitchell Frank) of German Art History and Scientific Thought: Beyond Formalism (Ashgate Press, 2012). A former senior editor of the Bibliography of the History of Art at the Getty Research Institute in Los Angeles, he regularly contributes reviews to Frieze and C Magazine. He is currently working on a book manuscript on the aesthetics of recent assemblage sculpture. In addition to his formal university studies, he is an alumnus of the Whitney Museum’s Independent Study Program. His curatorial credits include the exhibitions “Francis Bacon and Henry Moore: Terror and Beauty” (2014) held at the Art Gallery of Ontario and “When Hangover Becomes Form: Rachel Harrison and Scott Lyall” (2006), held at the Contemporary Art Gallery in Vancouver and Los Angeles Contemporary Exhibitions (LACE). He was co-organizer of the DAAD-sponsored conference Tainted Goods: Contemporary Sculpture and the Critique of Display Cultures in Germany and Europe, held at York University and University of Toronto in May 2012.